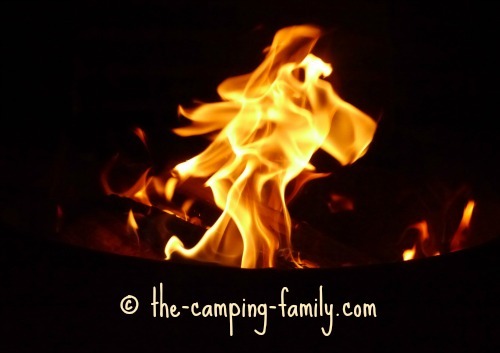 Looking for a simple song to sing around the campfire? Here are the This Old Man lyrics. It's an ideal campfire song for the youngest children because the words are so easy to learn. 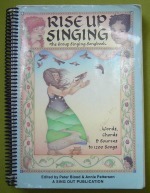 Once you have learned the first verse and the tune, you can sing the whole song! This old man came rolling home! The origins of This Old Man are unclear. It's probably an old English nursery rhyme or counting song. It's been around for a very long time! Have you ever wondered what this song is talking about? You are not the only one! Many nursery rhymes and old songs referred to contemporary events or politics, and the true meaning of most of them - including this one - has been lost over time. This song is about an old fellow who traveled about town collecting animal carcasses. He cut them up and sold what he could. He gave the inedible bits to his dog. He kept a couple of bones to use as rhythm instruments. At the end of the day, after he'd rolled his cart home, he and his dog would sit around and sing. The old man would tap out the rhythm with the bones. ...you're probably wondering what in the world Cat Stevens was thinking when he wrote "Moonshadow". No need to wonder any longer! You can read about the meaning of the Moonshadow lyrics right now! As far as I can discover, This Old Man was first recorded in 1953 by Pete Seeger. It was adapted in 1958 for the film "The Inn of the Sixth Happiness". Does the tune sound familiar? It is the "I love you" theme of Barney, that annoying purple dinosaur. This is a great song for using your creativity. Instead of a knee, what could the man use for playing paddy-wack? A tree? A bee? A golf tee? Now that you know the This Old Man lyrics, and probably more about the song than you ever wanted to know, click here to find words to lots more campfire songs. Are you planning a camping trip? I'd love to help! Please visit The Camping Family home page.